Introducing the charming Indian Vipul Chiffon Embroidery Frock Unstitched dress with high quality embroidery in various color combinations. It is an embroidery suit, included top, trouser, Sleeves, neck & daman patches are also included in this dresses. The entire embroidery is done on quality net fabric. Order it at Shoprex.com for delivery all over Pakistan. 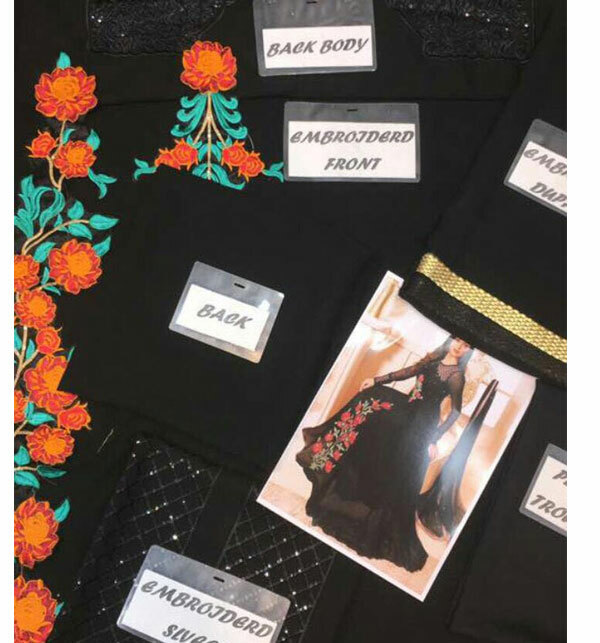 The clothing here is absolutely phenomenal and provides an exceptionally new and unique design set that is different than on market varieties and provides something unique to wear on Eid 2018.
i want this suit how much price of this chiffon dresses ?? Waiting like ur party dress! New Black chiffon collection are truly the best and most unparalleled here. I was stunned by there sheer beauty and value for money. Truly a timeless classic. 3 dresses mngwaye unmy se 2 suits k dupato mn surakh hn. You are looking now latest Chiffon Embroidery Frock Unstitched (CHI-64) price in pakistan market 2017 including in all major cities, Chiffon Embroidery Frock Unstitched (CHI-64) Price in Karachi, Chiffon Embroidery Frock Unstitched (CHI-64) price in Lahore, Islamabad, Faislabad, Pesahwer, Quetta, Multan, Rawalpindi and many more cities.